The new BenQ PD2720U DesignVue is a feature-rich 27-inch 4K UHD monitor that is especially designed for creative professionals. 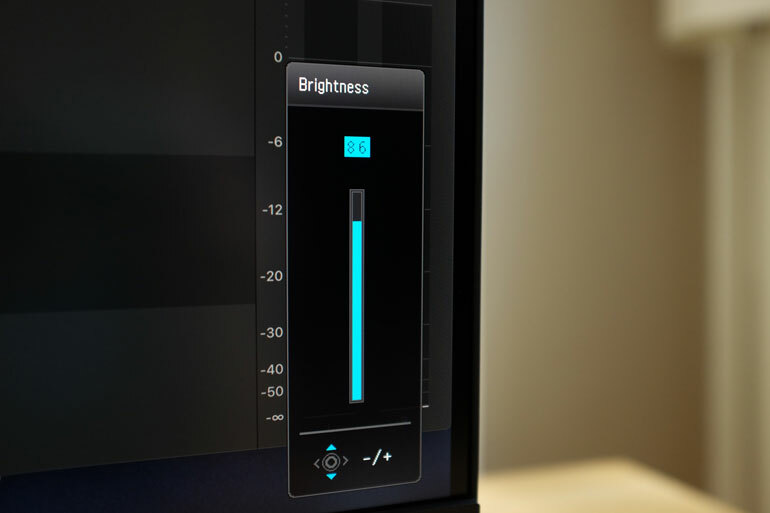 It offers accurate color, works seamlessly with Mac computers, and is built to be a beautiful, workhorse monitor that becomes an integral piece in your creative process. BenQ’s Designer monitors are made to deliver high color precision and high resolution for creative users who need more than just an average display. That includes animators, visual effects artists, graphic designers, photographers, CAD illustrators, and so on. For us filmmakers, versatility is especially important. Sometimes you just need a permanent monitor for your MacBook Pro, sometimes you need your external monitor to be a playback display while you edit on the MacBook screen. Maybe a project demands multiple monitors. Or perhaps a project will require you to use different computers - old and new. Maybe you need to bring your editing setup into a collaborative environment, with specific color profiles. Or maybe one day you’re asked to work on HDR or 10-bit footage. The BenQ DesignVue PD2720U has got you covered. We’ve been using this monitor for a little bit with a few different computers: a new 2018 MacBook Pro laptop, an old MacBook Pro, and as a second monitor to an iMac 5k with DisplayPort. So far, we’re thoroughly impressed with this monitor and would recommend it to anyone looking for a professional external monitor. The first thing we noticed about the BenQ PD2720U is how quick and easy it is to setup and start using. 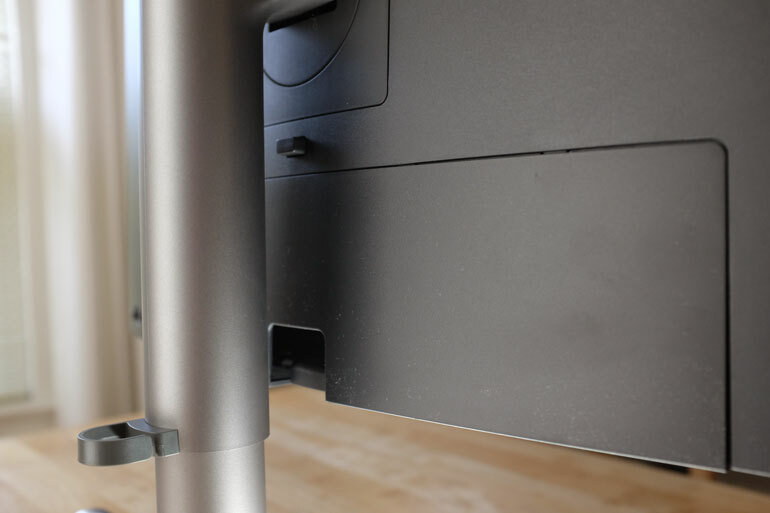 The monitor attaches to the stand without the need for tools. And once you have it on your table, it’s simple to grab it to adjust the height and tilt angle. You can also easily rotate the monitor to better center it, or if you want to turn it completely into a vertical viewing angle. 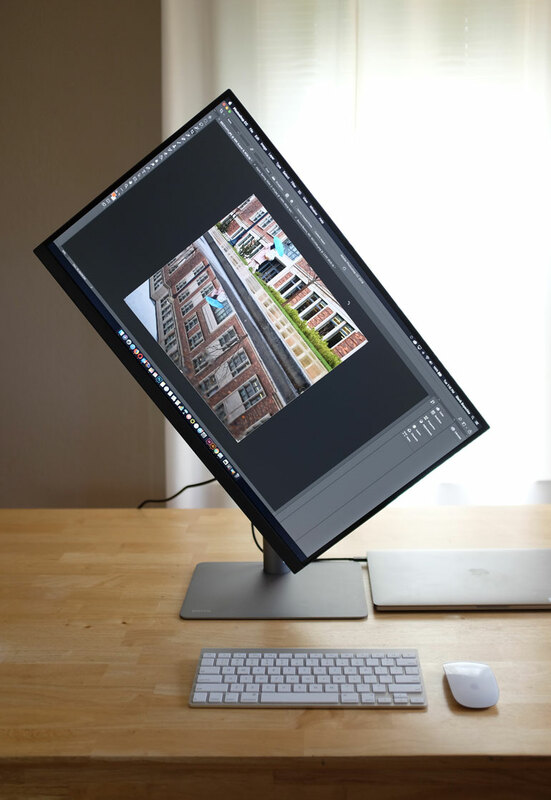 If you’re illustrating or editing in a vertical aspect ratio, then it makes sense to rotate your monitor. On a Mac, it's very easy to go into your display settings and adjust the rotation. From there, you can reset your workspace or adjust your windows as you see fit. The BenQ PD2720U is beautifully designed. There’s very little bezel, so you can place two of them side by side for an uninterrupted ultra wide display. The edge-to-edge design is a great feature if you want a continuous picture across multiple monitors, but it also keeps the monitor neat and compact. The AC brick must be housed somewhere within the monitor, because the power cable doesn’t use one. That’s a nice feature, because it keeps the cabling neat and tidy on the table. 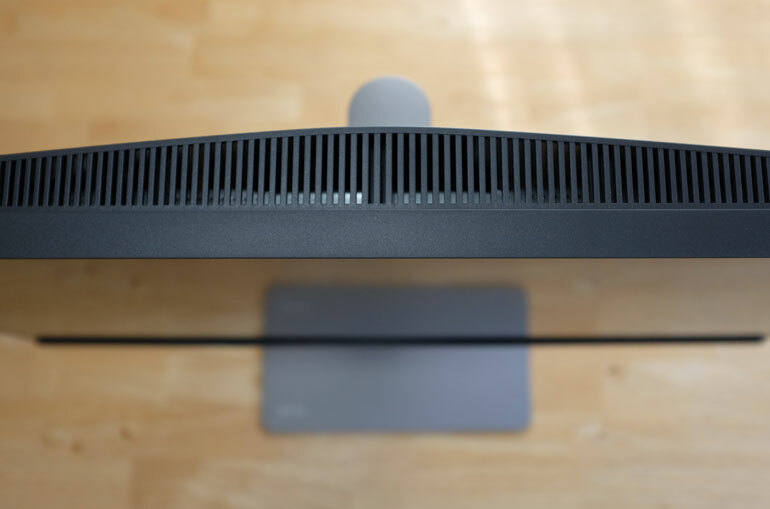 At the back of the monitor, there’s also a cable tie, and a port cover, which keeps everything incredibly clean. If you’re working in an open space where it’s hard to hide cords and cables, the BenQ DesignVue solves that issue. Overall, the monitor design and base make for a super clean and versatile setup. 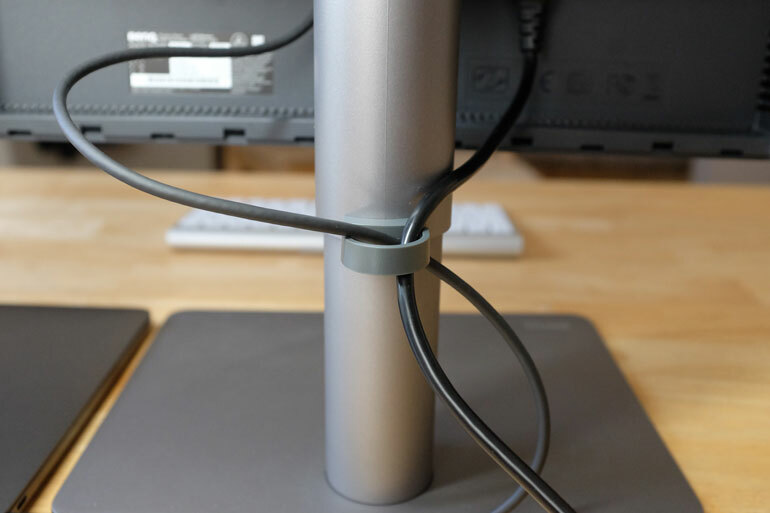 You don’t need books to raise the monitor, the flat base means you can keep your hard drive or peripherals tidy, and the back cover and cable tie ensures your tech space doesn’t become overrun with cords. 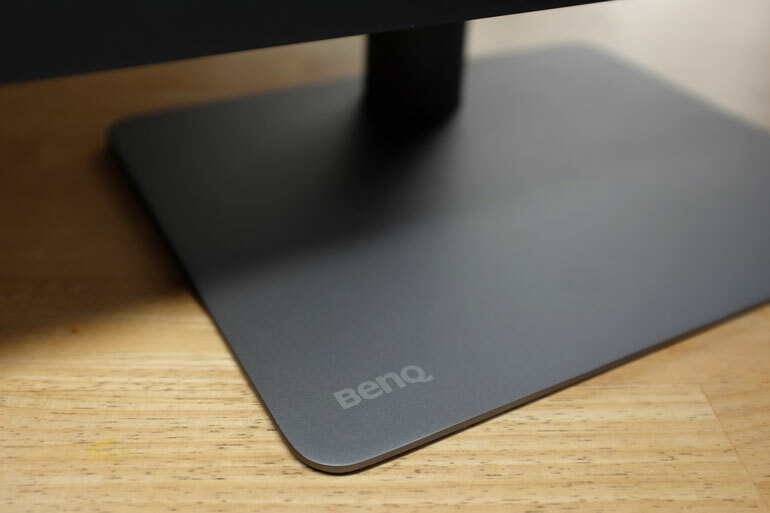 Included with the monitor is a BenQ Hotkey Puck, which plugs into a port on the back of the monitor. It makes for a great shortcut for changing between pre-determined settings and color profiles, as well as for going through the menu. But what we like best about it is it’s a very quick way to adjust brightness. At any point during the day/night, we can quickly turn the puck and give us a little more or less brightness. 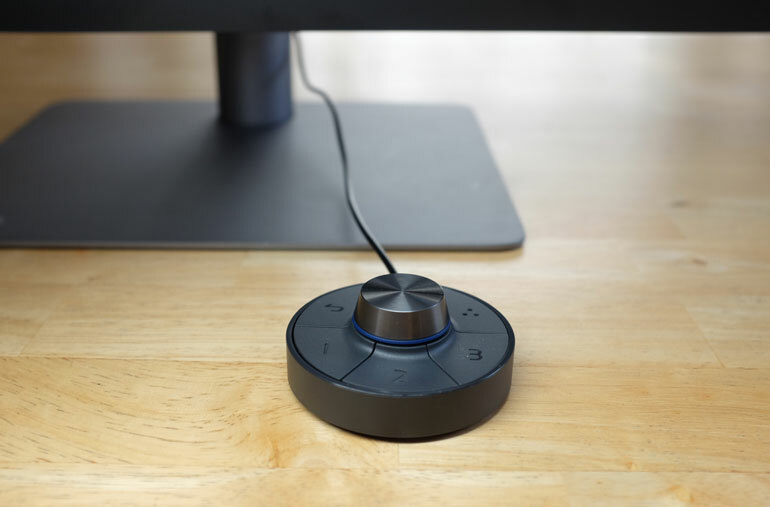 If you’re used to being able to use your keyboard to adjust brightness on your iMac or Apple Cinema Display, the BenQ puck makes the transition to a third-party external display quite smooth. Of course, you can also skip the puck and use the jogwheel at the back of the monitor, which is also quite easy to use and convenient for scrolling through the monitor settings. 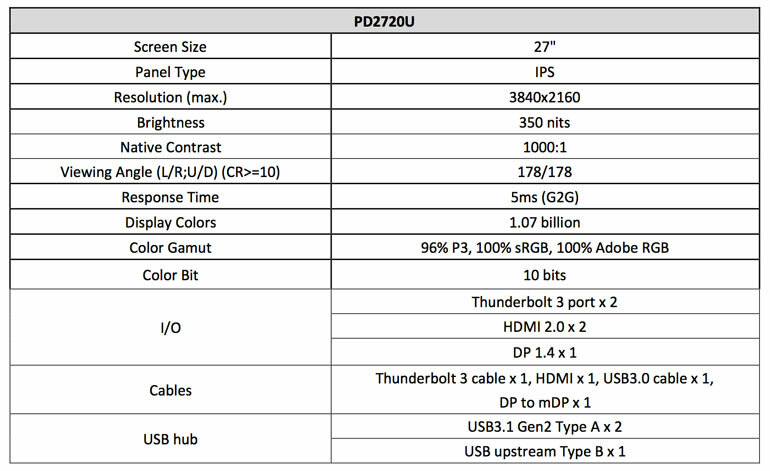 The PD2720U is built with advanced IPS that supports 100% of sRGB, Adobe RGB, and Rec. 709 color gamuts, and it supports 96% of the DCI-P3 color gamut, as well as HDR10. 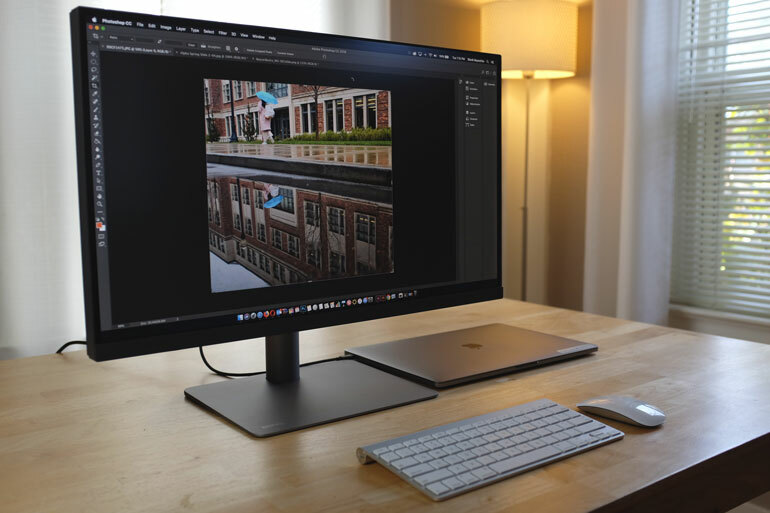 The PD2720U’s P3 and Display P3 color gamut is as large as the color gamut on MacBook’s native displays, which means it’s easy to reproduce the precise color of a MacBook and minimizes the visual difference between the MacBook and the BenQ monitor. For color accuracy, BenQs AQColor technology is deployed in this monitor, with factory calibration and Technicolor color certifications to ensure completely accurate color reproduction. The PD2720U is individually calibrated during production, and included in the box is a printed calibration report. On the monitor itself, it’s quite easy to switch between all the color modes. You can use the jog wheel on the back of the monitor, or you can also use the hotkey puck. But what’s really interesting is the ability to pull up two color profiles and have them both displayed, side by side, on the PD2720U screen. Now you don’t need to have two screens while you’re comparing color profiles. For color sensitive work, this feature is killer. 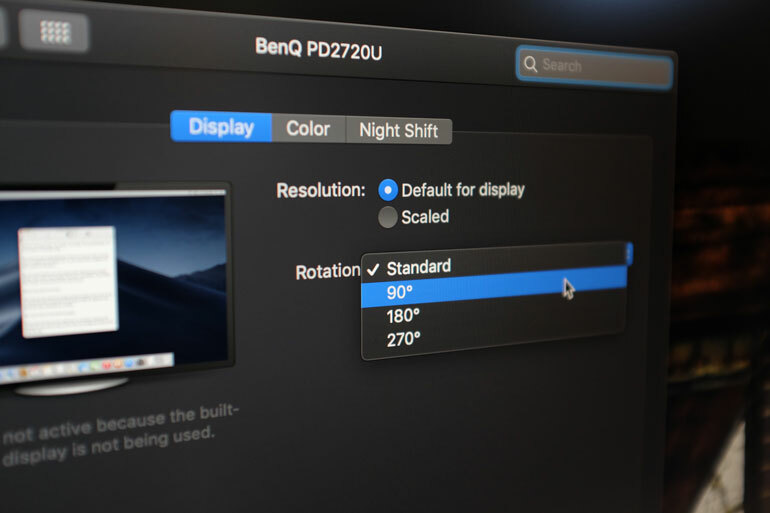 In addition to the different color modes, the BenQ PD2720U also comes with three special modes. The first is the CAD/CAM mode, which has enhanced contrast for lines and shapes in technical drawings. It’s meant to showcase the ultra fine details in software such as Pro/E, Solidworks, AutoCAD, and CATIA. In animation mode, the monitor automatically increases the brightness of shadows. And Darkroom Mode is meant to have enhanced clarity and details for individuals working in dark environments. The ability to choose the shortcut M-Book means you can quickly display colors that are specifically matched for your MacBook. So if you want to use your laptop display along with the BenQ external monitor, you'll get the same color profile on both displays. 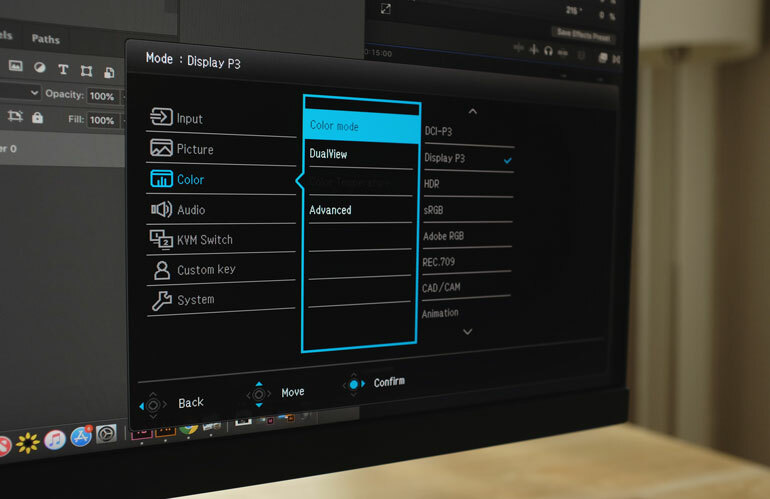 New to BenQ is something called ICCsync, which helps designers match ICC profiles between monitors and computers. 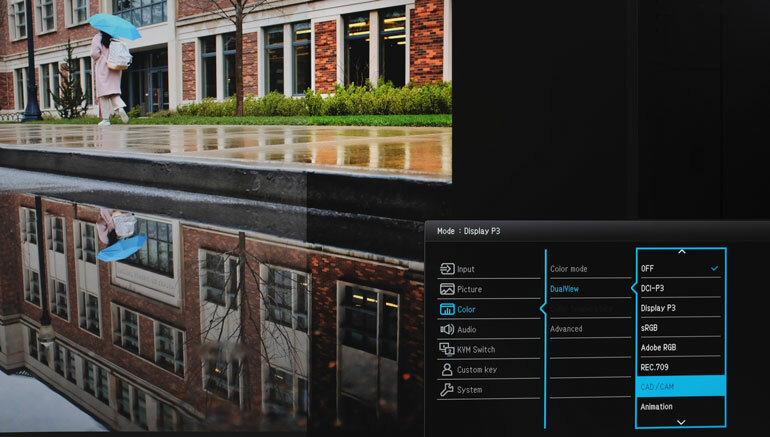 Through the monitor’s display, or via BenQ’s proprietary app, Display Pilot, users can customize color mapping and adjust color modes with precision. Ok so we could go on and on about the colors in this BenQ monitor, but the point is, it’s bursting with color accuracy and versatility. There’s 1 billion colors with the 10bit screen, there’s automatic detection of HDR content, there’s up to date color gamuts. 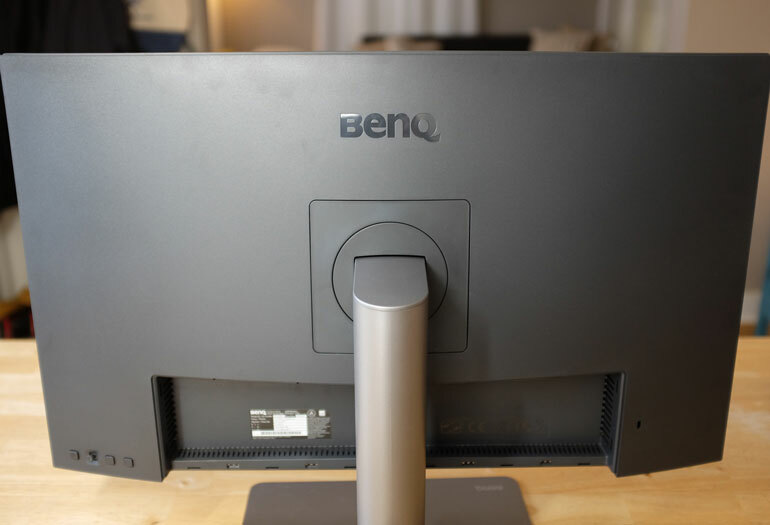 And in addition, BenQ has designed this monitor to filter out harmful blue light, as well as completely eliminate flicker, both features that effectively reduce eye fatigue. So in summary, if color is important to you, if you stare at a monitor for a living, if you care about what you see, then this monitor has you covered in lots of different ways. Along with the color and output, BenQ has loaded the PD2720U with a variety of inputs, so you can use this monitor with just about any computer, or for dual monitor setups. 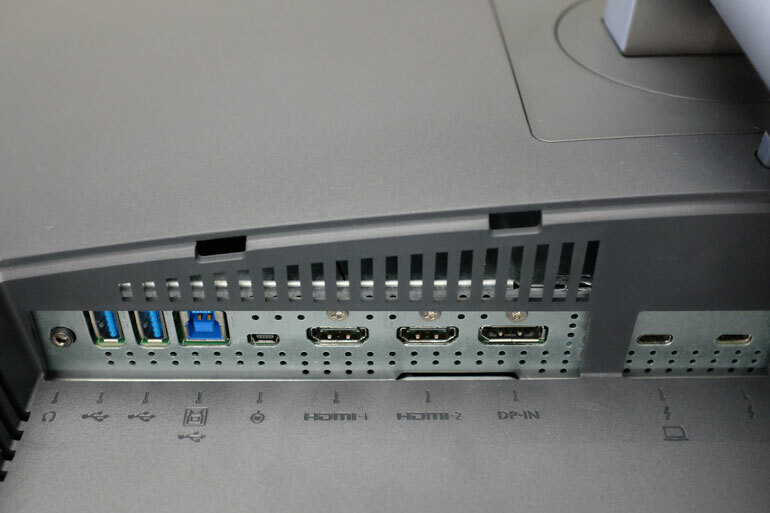 There are two HDMI 2.0 inputs, one DisplayPort 1.4 input, and two Thunderbolt 3 ports, each of which support daisy-chaining multiple displays. 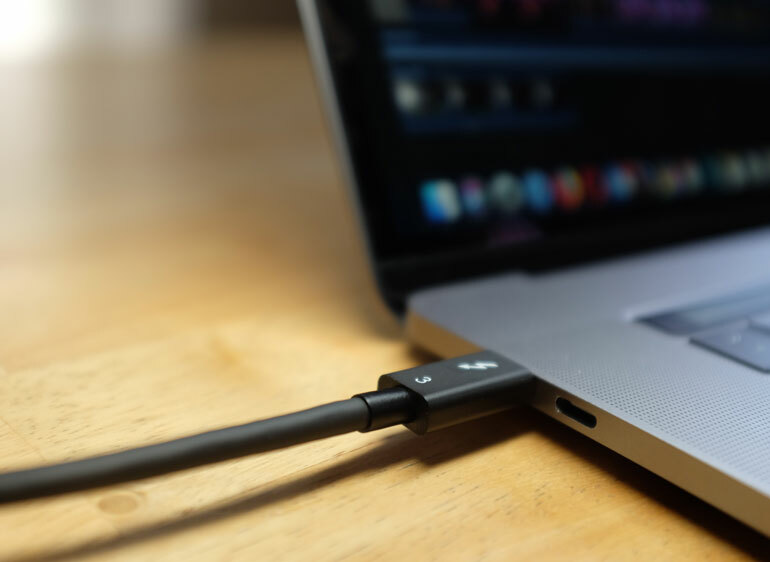 One of the Thunderbolt 3 ports can also charge up to 65W, which makes it very convenient for plugging in a newer MacBook with USB-C/Thunderbolt 3 inputs for power as well as data and monitoring. Not only does it remove the need for the Apple AC adapter, but you now have one additional port for other needs. 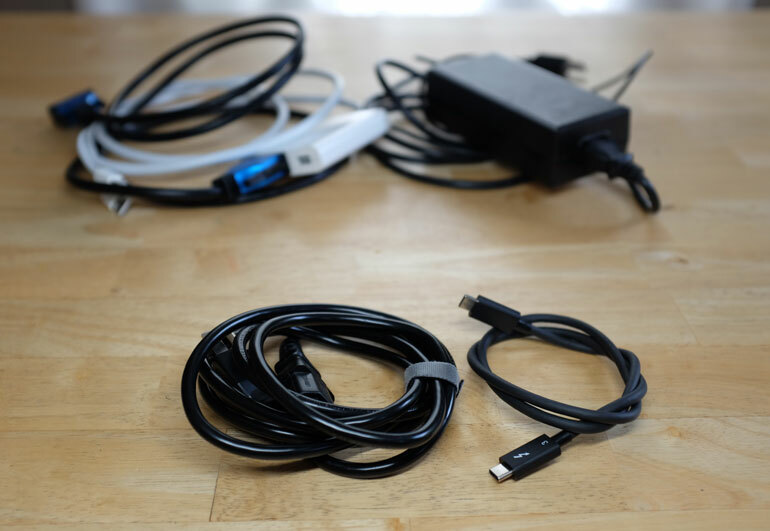 In the world of dongles and Macbooks that have limited USB-C ports, it’s certainly nice to be able to use just one cable for both your external monitor as well as power. The BenQ Designer also has two USB 3.1 Type-A ports for downstream - such as charging your other peripherals - and the one USB 3.1 Type-B port for upstream. So you can plug in your wired keyboard or mouse. 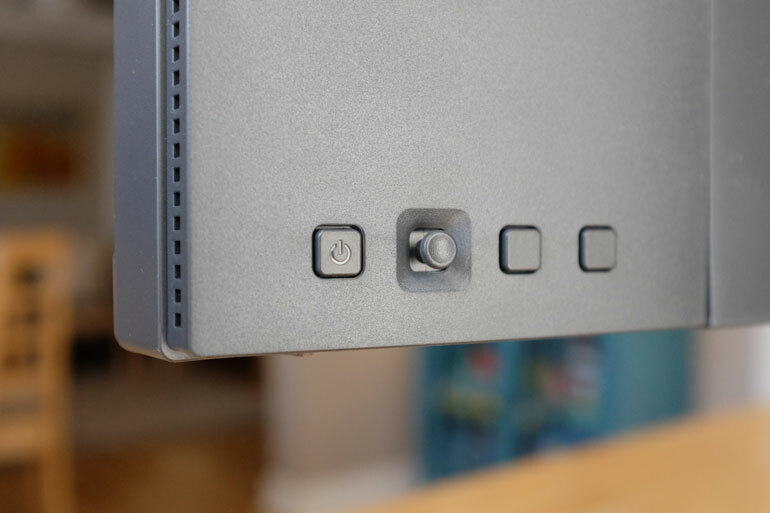 There's also a port to connect the BenQ HotKey Puck. And there are integrated 2W speakers and a 3.5mm headphone jack for audio. 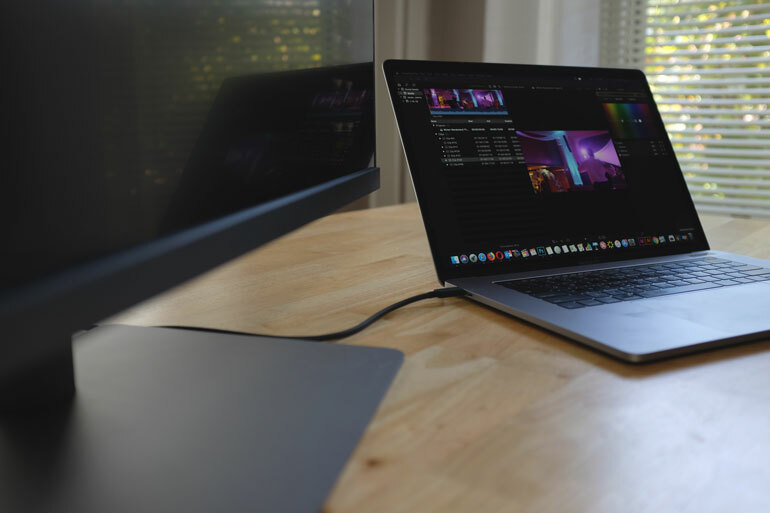 And if you end up using two different computers with your mouse, which is very likely if you’re switching between a tower and a laptop, then the Keyboard Video Mouse (KVM) switch is a handy feature. Now you can connect one keyboard and mouse to the monitor, and when you switch computers, you can continue to use those peripherals. Sometime it’s the little things, you know? By the way, KVM works even if you’re switching between a PC and a Mac. 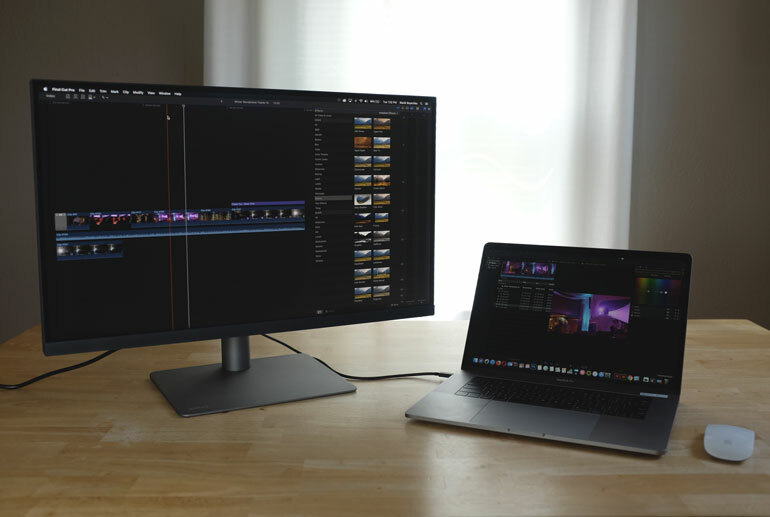 With just a MacBook and one USB-C/Thunderbolt 3 port, you can pair two of these color accurate BenQ 4k monitors, and at 60hz refresh rate, via daisy chaining. That includes not just the video signal, but audio, data, and power delivery. That’s pretty incredible that one cable can now do all that. And with today’s MacBook Pros, there is enough power in them to justify choosing a laptop over a Mac Pro or an iMac. 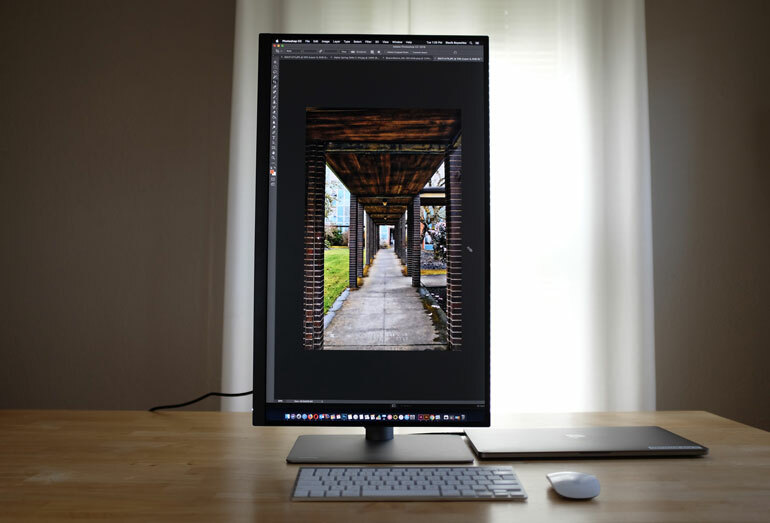 Having this kind of capability in an external monitor means there are less and less reasons to choose an iMac or iMac Pro with a built-in screen. In our video editing workflow, we use a series of iMac 5Ks, older MacBook Pros, and a trashcan Mac Pro, but when it came time to choosing a new computer, we picked the 2017 MacBook Pro 15-inch. The Geekbench tests showed it performing at a higher rate than these other computers, and it’s an incredible advantage to be able to edit on the road, while leaving it plugged into a monitor during the regular work week. It used to be you needed a big dock to turn a laptop into a desktop workstation. Now, you just need one cable. 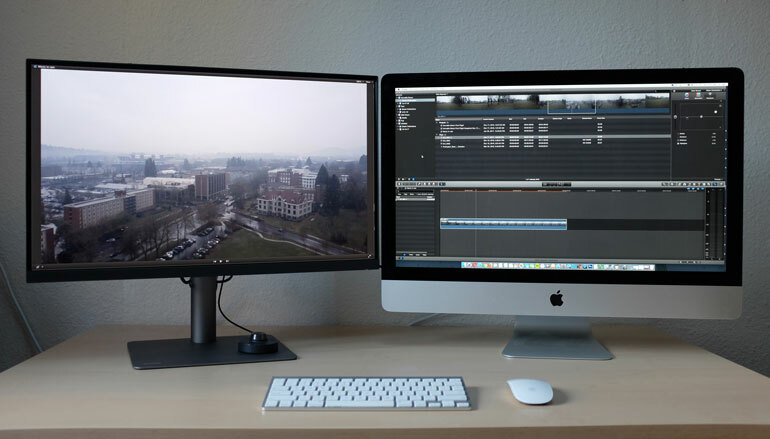 And now it’s easier than ever to add a second BenQ 4k display, or use your MacBook display next to a 27-inch monitor. Everything is color accurate, easy to setup and use, flicker free, harmless to your eyes, super sharp and crisp, and the whole setup is clean and requires minimal cabling. BenQ has released a superb monitor with the PD2720U DesignVue Designer 4K Monitor, especially with creatives. It’s a little pricey compared to average consumer monitors out there, but when images or video is your profession, you need more than a consumer grade monitor.